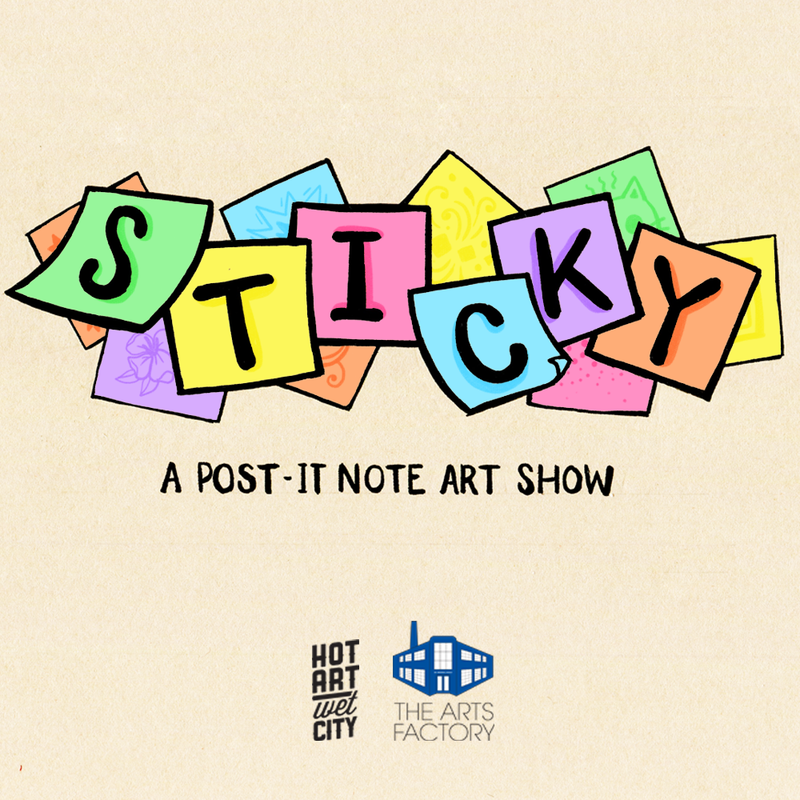 STICKY features over a thousand tiny, original, pieces of art made on 3×3 inch Post-It notes! Almost 140 artists contributed 6–10 pieces each, with every Post-It priced at $20/each. Our focus is on great art from local and international talent at a very affordable price. Join us on Saturday March 30 at The Arts Factory (281 Industrial Ave, Vancouver). Doors open at 6pm and expect a line-up for the duration of the evening; please be patient, it’ll be worth it! Cash only, FREE TO ATTEND.